These examples show how to plot univariate and multivariate time series data by using the Econometric Modeler app. After plotting time series, you can interact with the plots. This example shows how to plot univariate time series data, then overlay recession bands in the plot. The data set contains the quarterly US gross domestic product (GDP) prices from 1947 through 2005. At the command line, load the Data_GDP.mat data set. Data contains the times series, and dates contains the sampling times as serial date numbers. Convert the sampling times to a datetime vector. Remove the hours, minutes, and seconds from the datetime vector. Create a timetable containing the data and associate each row with the corresponding sampling time in dates. 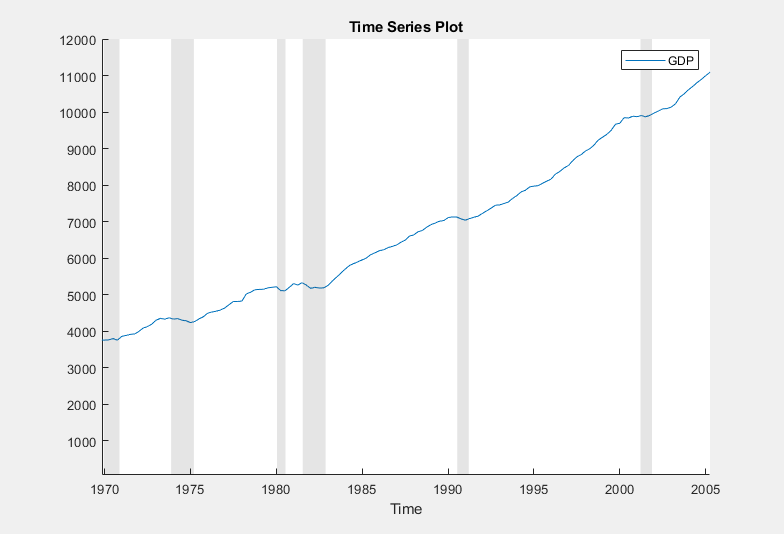 The variable GDP appears in the Data Browser, and its time series plot appears in the Time Series Plot(GDP) figure window. Overlay recession bands by right-clicking the plot and figure window, then selecting Show Recessions. Overlay a grid by pausing on the plot and clicking . Pause on the plot, then click . Position the cross hair at (1970,12000), then drag the cross hair to (2005,3500). The GDP appears flat or decreasing before and during periods of recession. 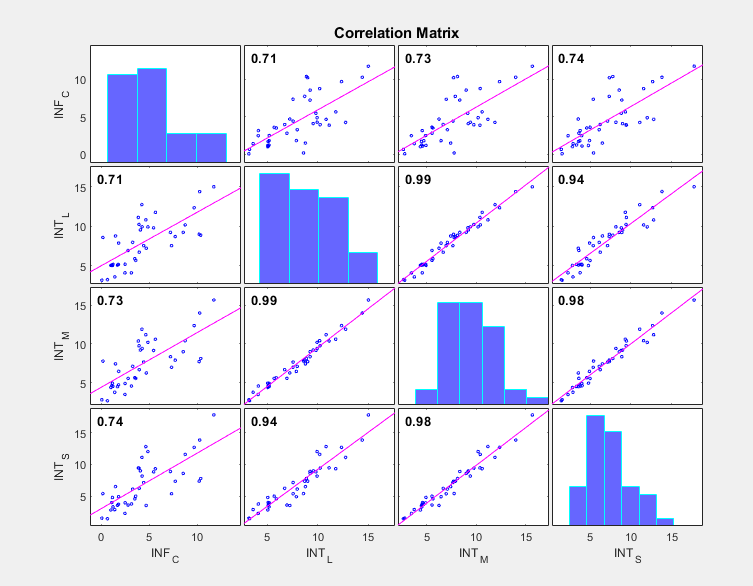 This example shows how to plot multiple series on the same time series plot, interact with the resulting plot, and plot the correlations among the variables. 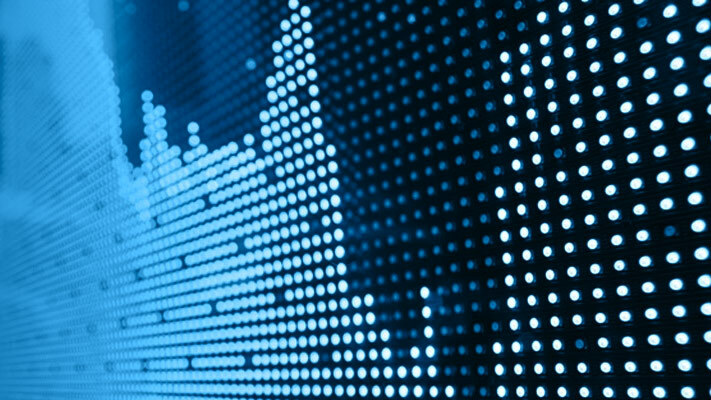 The data set, stored in Data_Canada, contains annual Canadian inflation and interest rates from 1954 through 1994. 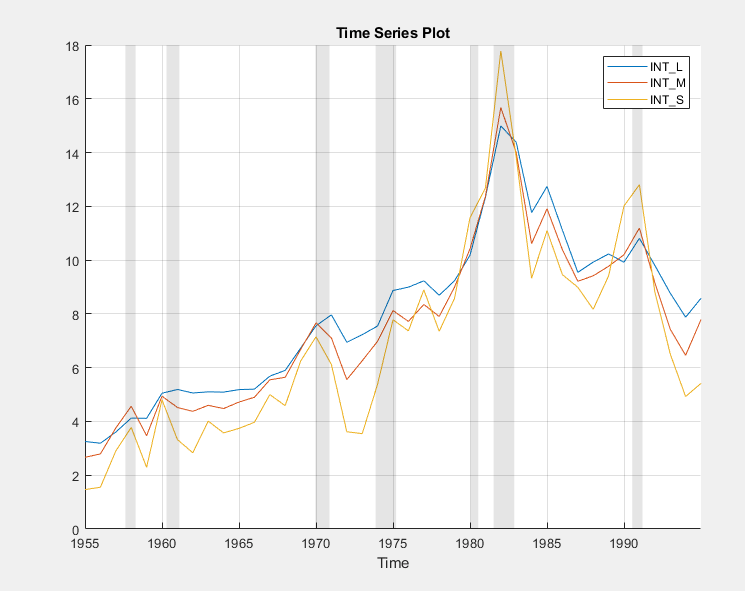 The Canadian interest and inflation rate variables appear in the Data Browser, and a time series plot containing all the series appears in the Time Series Plot(INF_C) figure window. Overlay recession bands by right-clicking the plot and selecting Show Recessions. Point to Show Time Series, then clear INF_C. Repeat steps 1 and 2, but clear INF_G instead. Select all variables in the Data Browser. Click the Plots tab, then click Correlations. A correlations plot appears in the Correlations(INF_C) figure window. Point to Show Time Series, then clear INF_G. The inflation rate explains at least 70% of the variability in the interest rates (when used as a predictor in a linear regression). The interest rates are highly correlated; each explains at least 94% of the variability in another series.